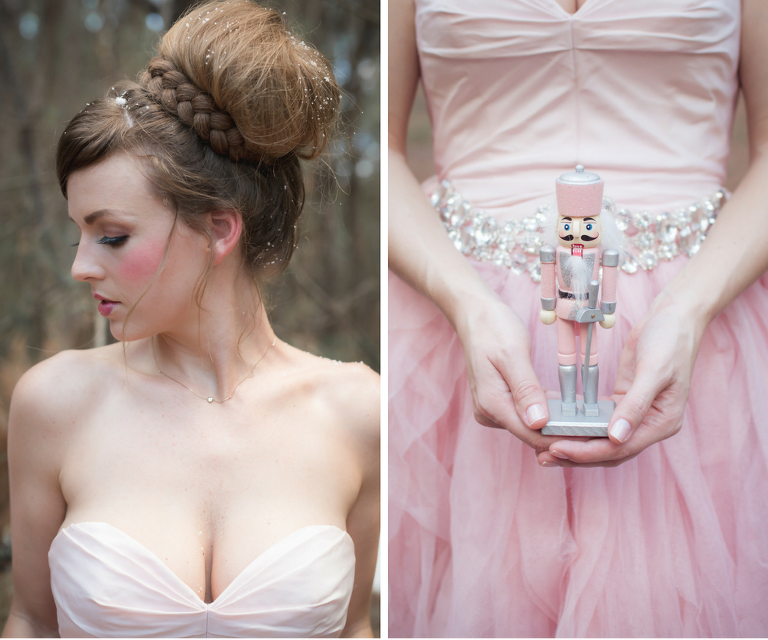 Even if there isn’t snow on the ground, this Nutcracker Inspired styled wedding shoot will have you dreaming of pink sugar plum fairies. Tampa Bay wedding designer Cassandra VanCuren of Ever After Vintage Weddings created this unique wedding inspiration that instantly transports our palm tree loving tendencies into a winter wonderland oasis. The idea for this winter-filled wedding came from a photograph Cassandra stumbled upon of a tiny white mouse frolicking in snow. 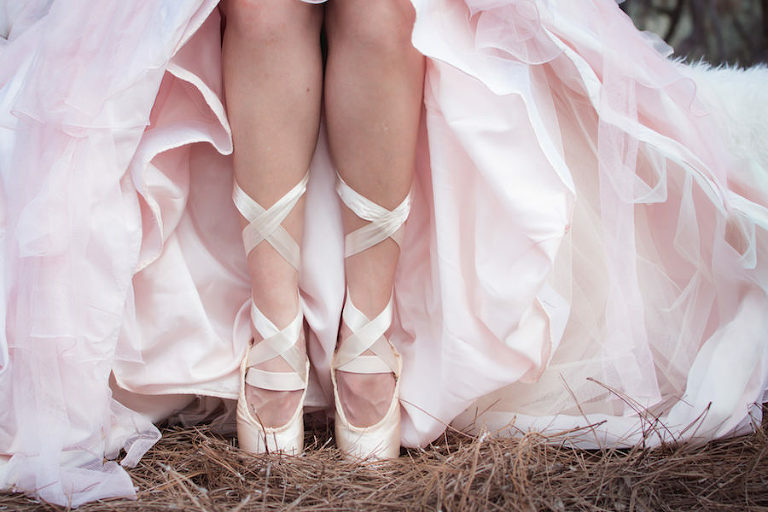 Instantly inspired by the mouse and the ever famous ballet The Nutcracker, the wedding designer began to develop the concept for this wintry and romantic fairy tale. A traditional tropical Tampa Bay wedding venue wouldn’t fit the bill for this enchanted styled wedding. The designer searched for a setting that had elements that could transport you outside of a Florida oasis. Bringing in accents of vintage glass stemware and dainty China dishes, the outdoor setting instantly adds to the romance of a wintry wedding. The earthy and natural tones of the farm tables offset the subtle elegance of a blush and silver color palette. 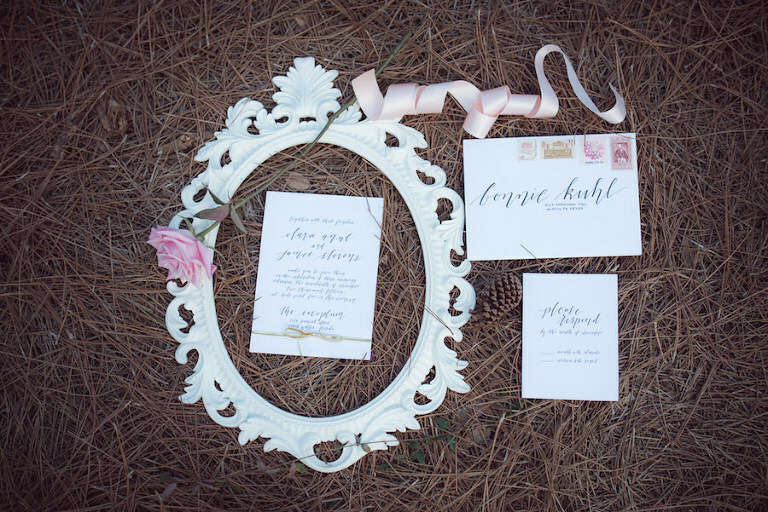 This uber feminine, but rustic elegant wedding, has us day dreaming of a snow day in Florida, but without the cold! Elegant rustic. I wanted a little different feel than your usual bright colorful dancing sugar plums. I went for a more moody dark and woodsy feel which I felt almost gave the illusion of a cold winter day. Our colors were ballet pink with white and silver. 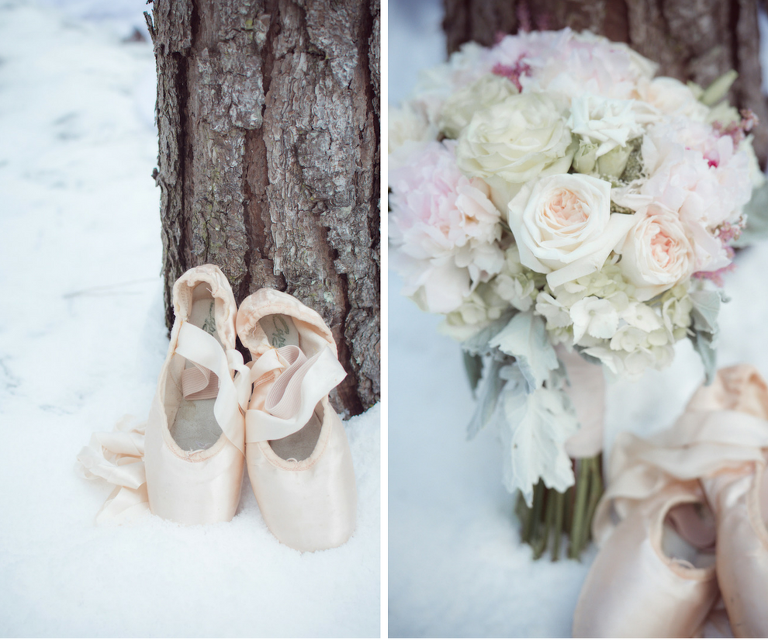 The pink was a given, and the white and silver tied in the cold winter feel we were going for. I thought this was nice for a change since it is not generally colors you see often during the winter. How much would you estimate this wedding would cost for 150 guests in the Tampa Bay area? Venue: This theme could be used in both a backyard or even a ballroom type setting for different budgets | Photography: $1,500-$2,000 | Flowers: $2,000-$6,000 | Invitations: $800-$1,000 | Vintage Dish Rentals: $1,000 | Vintage Rentals & Design: $1,500-$2,500 | Ghost Chair Rentals: $1,500-$2,000 | Farm Table Rentals: $2,000 | Small Cake and Cupcakes: $250-$500 | *This does not include all aspects of a wedding such as officiant, catering, favors, dress etc.